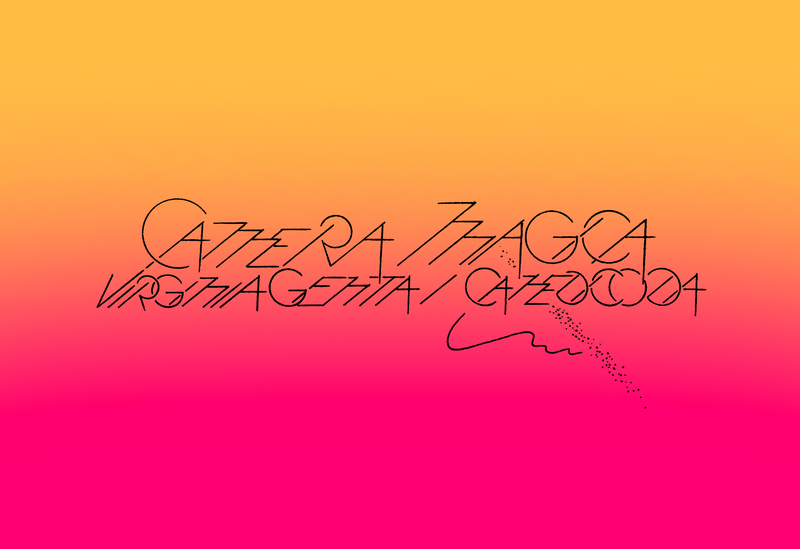 In Brescia – for Camera Magica – the duo exhibition with Virginia Genta curated by In fact and in fiction at Spazio Contemporanea. Opening 18th april around 7pm – i’ll also do a quite impro jam together with Virgina. I’ve prepared 20 new Mochini – this time with the push of Valentin to add some marble elements (cut by the great and only William West). Quite happy with the results. Nero is guessing us with a live web page that we’ll update with new content during the exhibition. Thanks Nero! Gloria Pasotti did the photos of this new mochini serie, i’ll upload them soon on my shop too, yep there will be also an edition of 20 pz catalogue edited by In fact and in fiction . 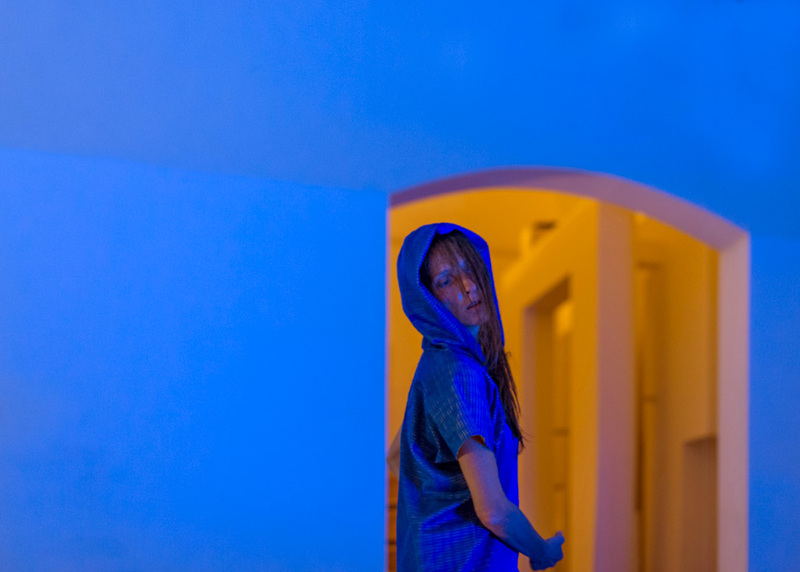 Live Arts Week 2019 – in Bologna. 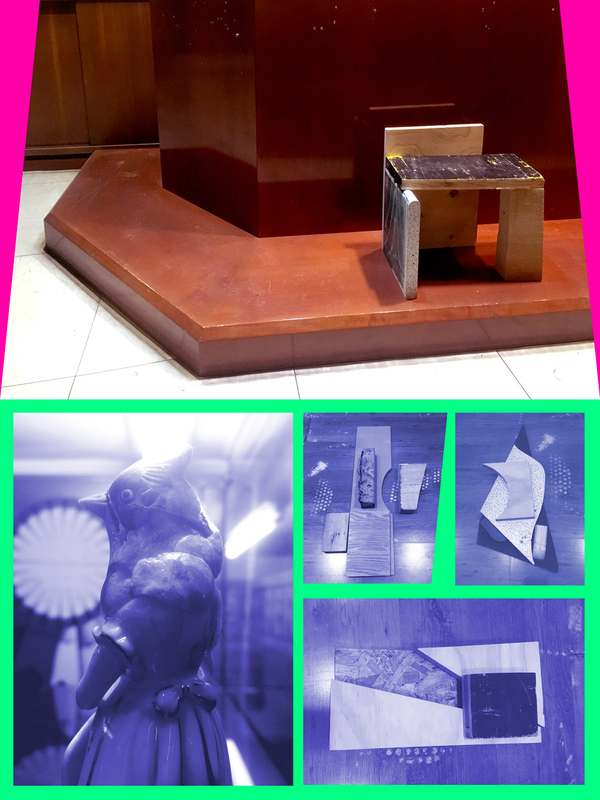 A little contribution from me – by train – 7 mono mochini (not to sit with your full body – but more as a chair your favorite temporary object) + 11 ceramic collages serie called “La voce di Greta”. @ Centro Festival – Ex negozio materiale elettrico Priori. 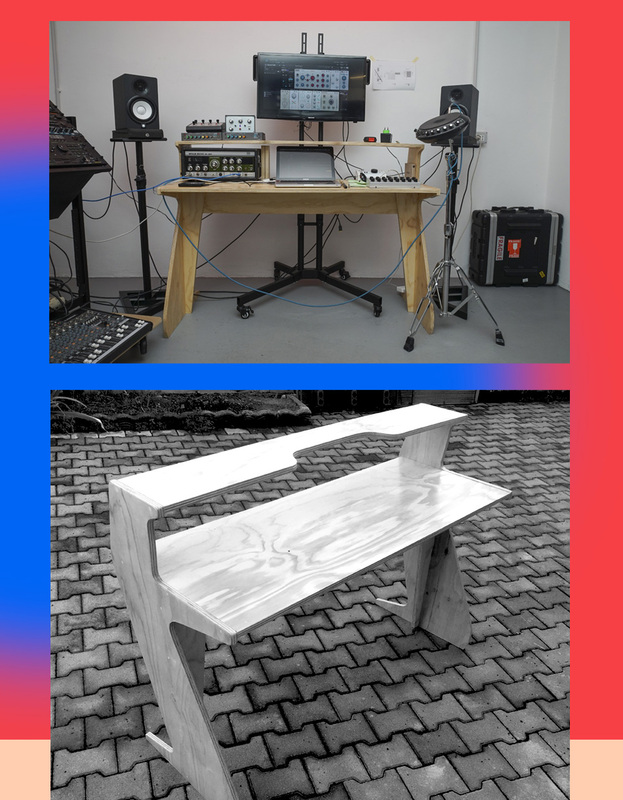 the sound table i made for my friend and musicial STILL. Wood + screenprint, plexiglass, nautical light. Custom-made for LL and IV together with Valentina Lucchetti. Wood-forms for a living space. 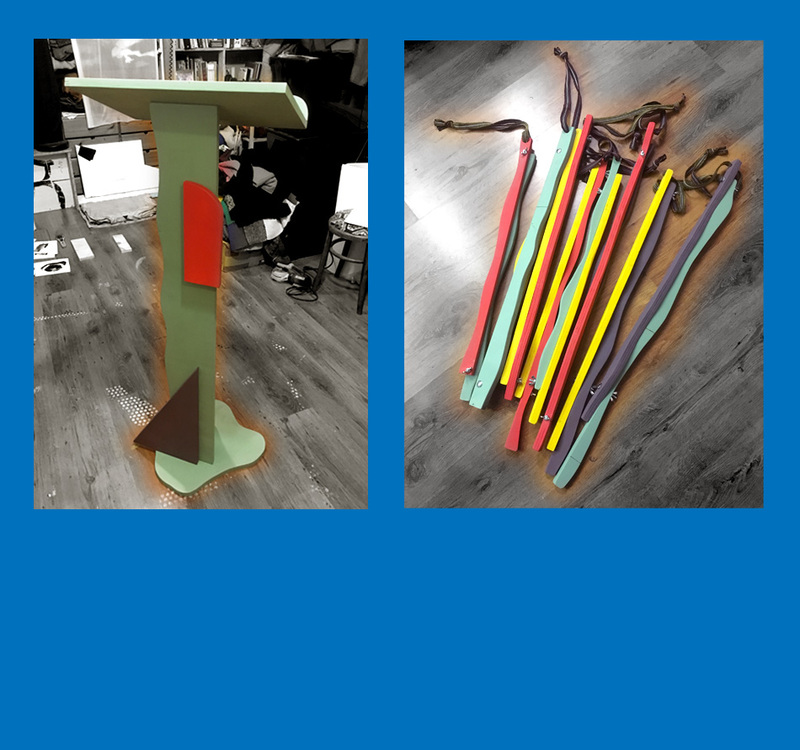 During the last Milano Bookcity my friend Marcos Y Marcos asked me to make a bookstand as a gift to Paolo Jannacci and 9 newspaper sticks holder. Wood, plexiglass, mirror and neon. 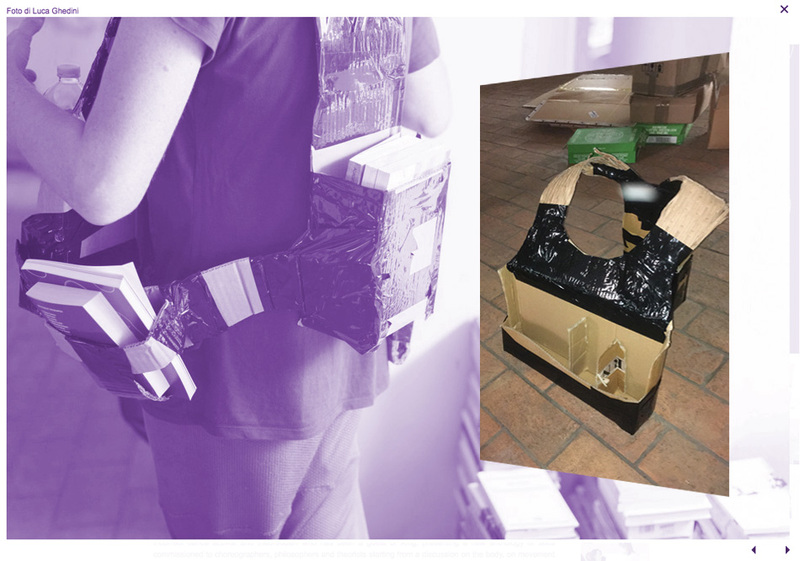 Costum-made for SB and AM with Valentina Lucchetti. End of december and first week of january in Salina / Sicily. Lichens – wind – cold sun. A careful amount of beauty. 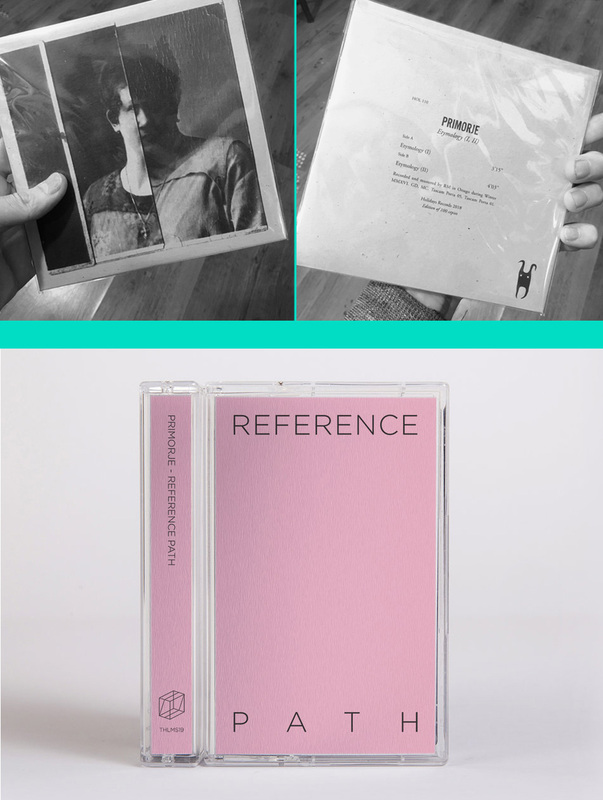 A new Ottaven tape – out on Volume edition of 43 c-36. You can get your copy at their shop or digital via my bcpage. At the hq of Far in Nyon / Geneve – for a workshop, the presentation of Adagio con buccia and a sleepy visible concert as Ottaven. thanks so much to Veronique & her lovely stuff + the friendly people who partecipated painting 60 mt of fabric – see you this summer ps: the lake up there is always so beautiful. A new serie of drawings. 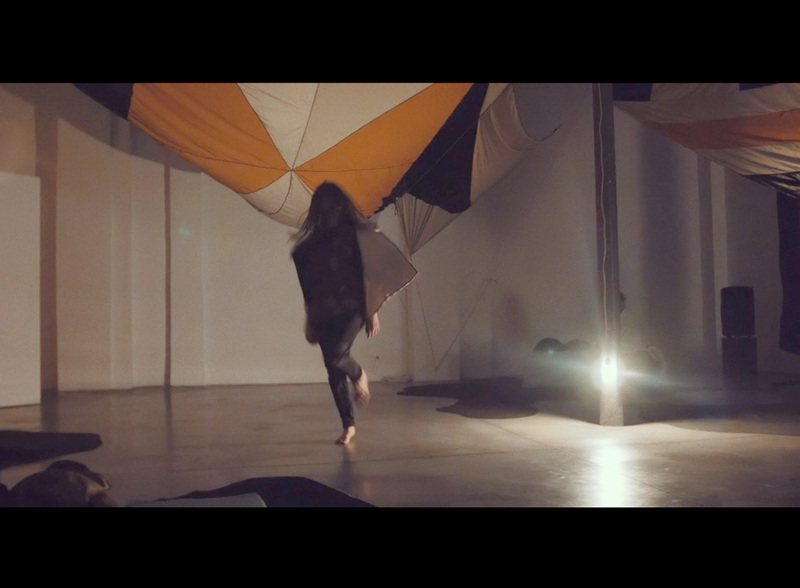 Small format – see you at the studio. 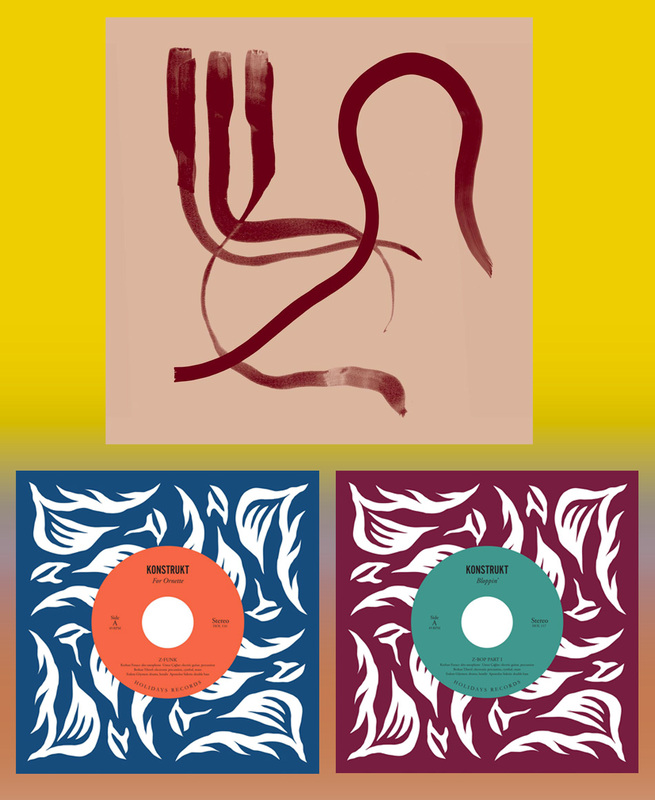 Last lp and 7s i designed for Konstrukt – best blast jazzy boys in the world – out on Holidays. Last december i was with Luigi Presicce and the untauchable Accademia dell’immobilità in Prato at Palazzo Pretorio. 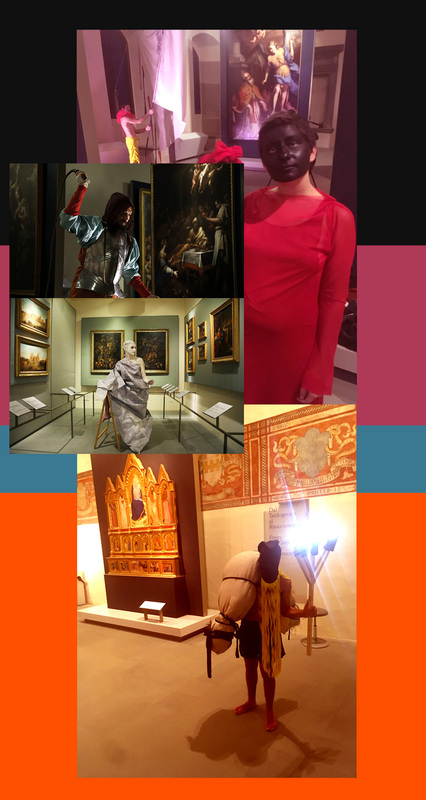 In a week and made the costumes for the performance Quattordici tableaux vivant per un’idea di predella curated by Veronica Caciolli. 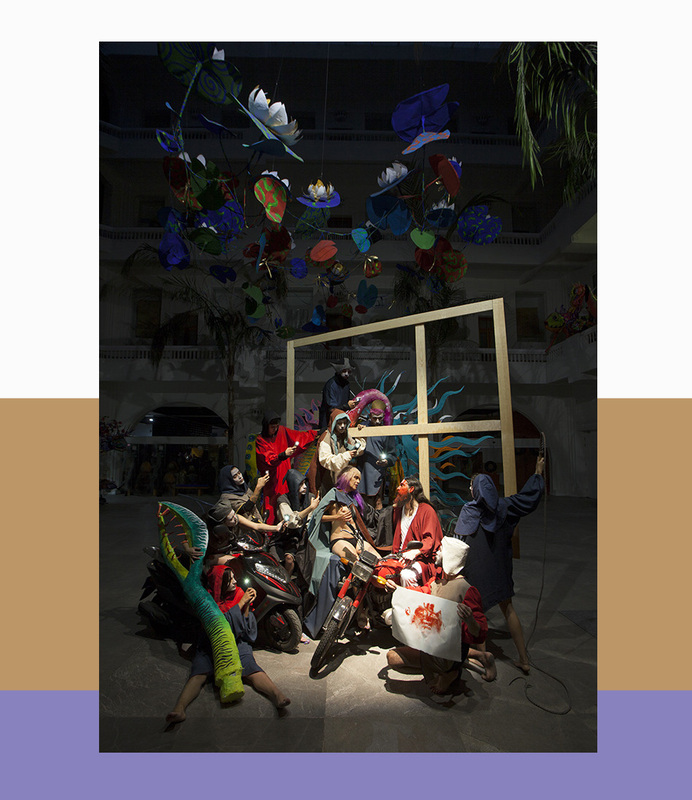 A general view of the costumes i did for Il fazzoletto della vera icona, another Luigi’s performance – MAP Museo de Arte Popular, Ciudad de Mexico. 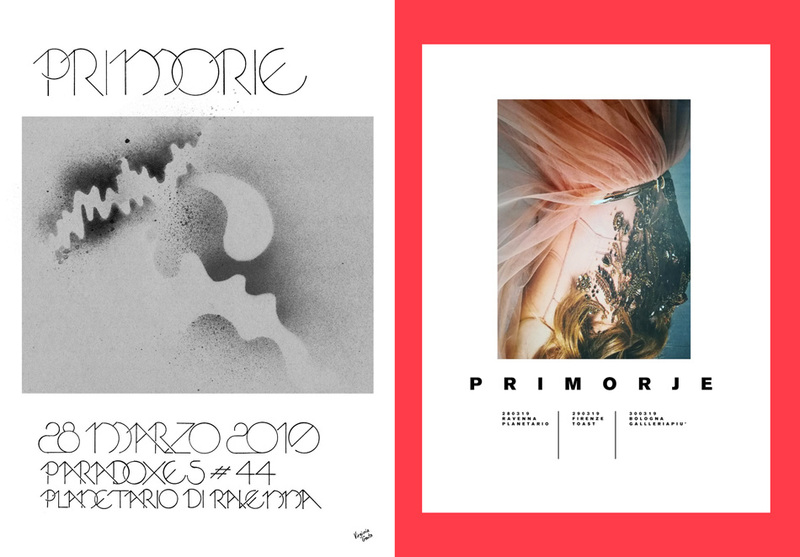 As Primorje – the duo i have together with Matteo Castro – we have a brand new 7″ out on Holidays Records and a c-24 out on Thalamos from Greece. Listen to the tape here. The full lp out on Second Sleep is on youtube. 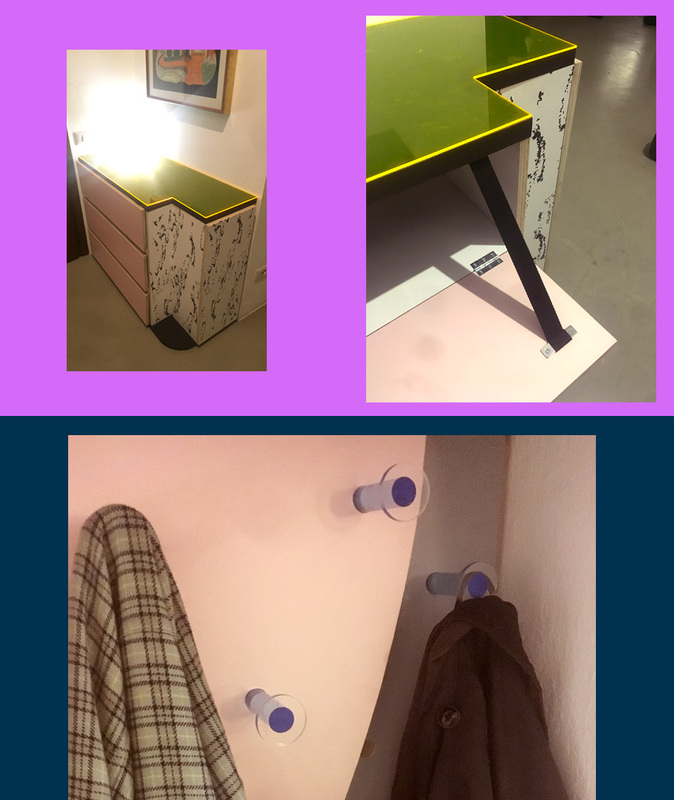 a writing desk for my friend Marcos Y Marcos. I made a collaboration book together with my friend and photografer Alan Chies. I hand printed something like 1200 sheet of thin and delicate black paper. The mood goes around musk, the balance of nature, clean portraits and beautiful beauty. The book is published by 0-100 Edition. It’s an edition of 100 + limited signed edition of 20. Check the presentation video here below and the 0-100 edition shop is here. 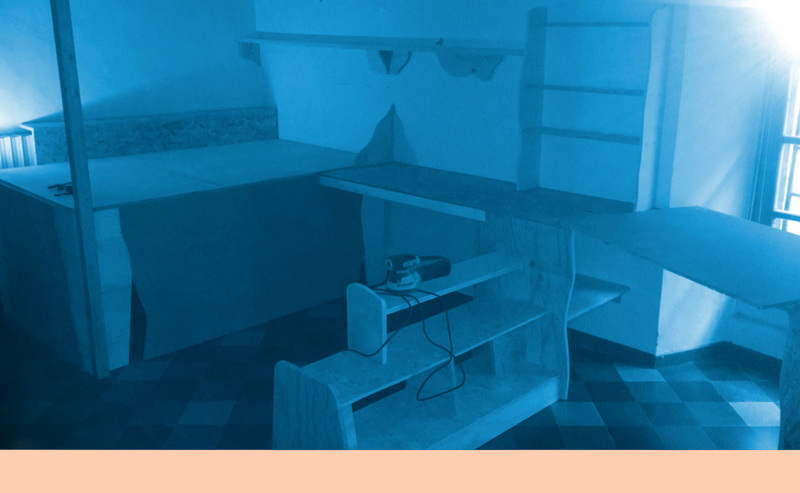 Speaking Bodies – 3 book launch at Raum – last october 2018.
and my Adagio con buccia book. it’s about a simple fact: we are interested or not. May i offer you a small shot of grappa? or sparkling water with essenzial bergamott oil. It took 3 years: I met 100 people and for each did 100 different garments. Here is finally the book about the Adagio con buccia project. Thanks so much to Bonotto and Fondazione Bonotto, to Xing and Raum, to Mirko Rizzi and Marsèll, to Far Festival, to Nero and of course to all the 100 souls i’ve met. 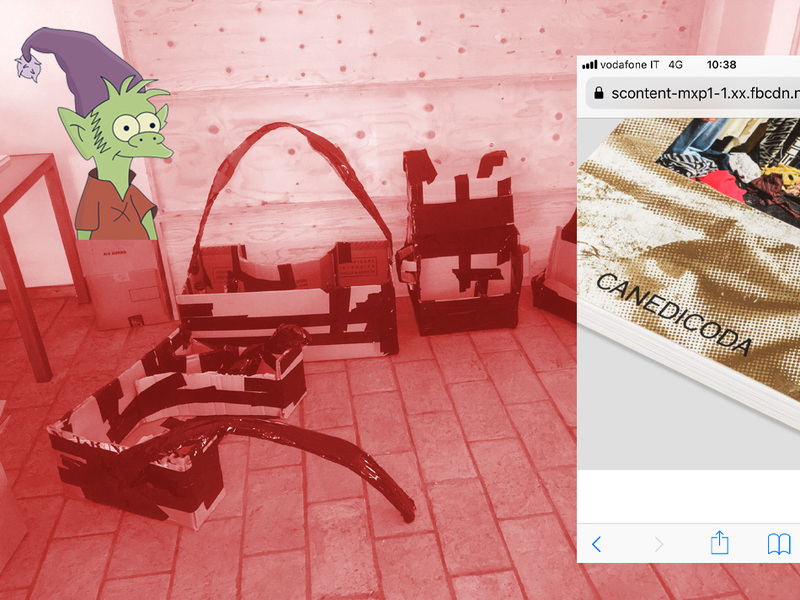 With texts by Canedicoda, Sabrina Ciofi, Sandra Noeth, Patrizio Peterlini, Xing. 16.5×22 cm / 260 pages. Here some more photos and if interested get your copy here! 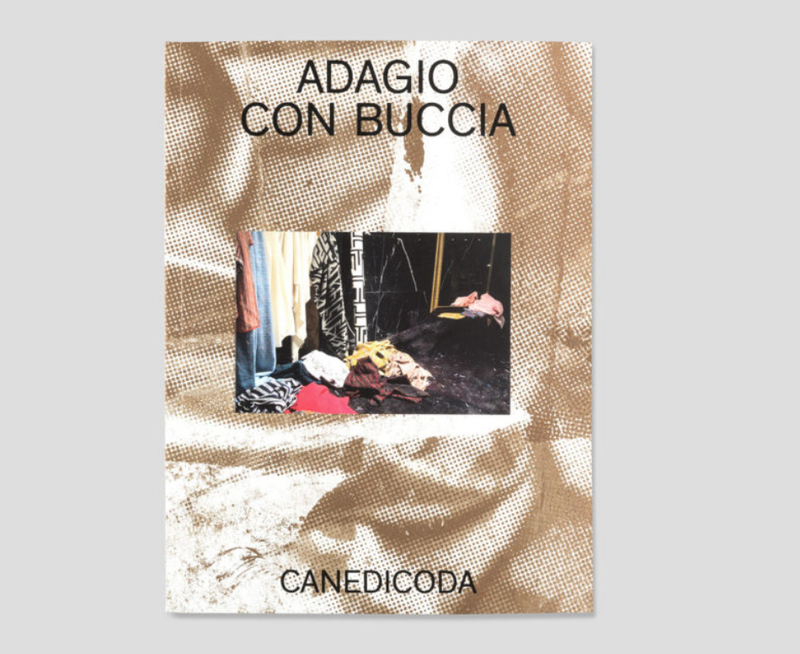 Next saturday 20 october we’ll launch the Adagio con Buccia book and 2 more publications by Kinkaleri and Mårten Spångberg. 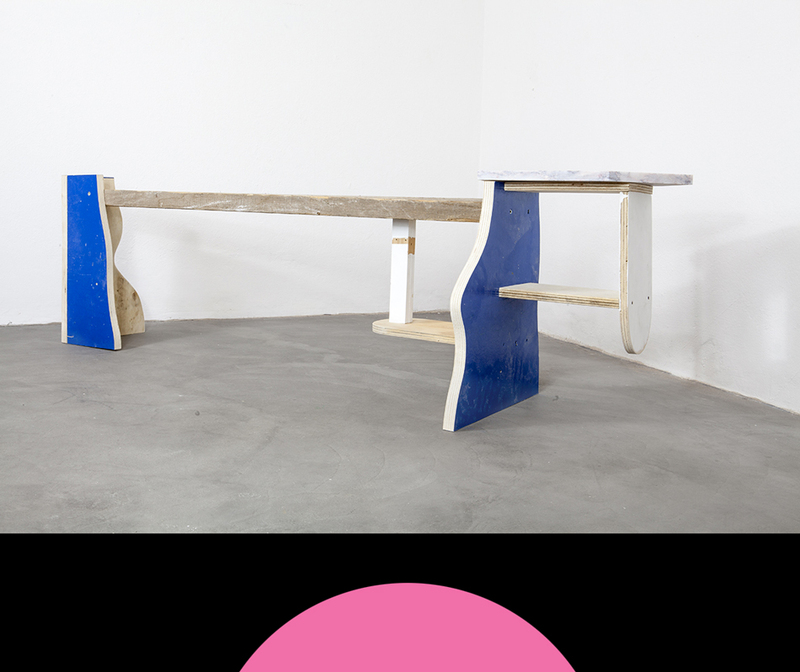 Pass by at Raum in Bologna during the late afternoon to say hello! this weekend – the 3rd appointment with Musica per un giorno. This time we’ll be in Bolzano at Museion – at the Bolzano Danza festival. From 2pm of the 14th july and for the next 24 hours. The 3rd edition of the zine will be ready in 35 copies. Thanks to Xing for the support. Ready again for this beautiful experience with Roberta Mosca. 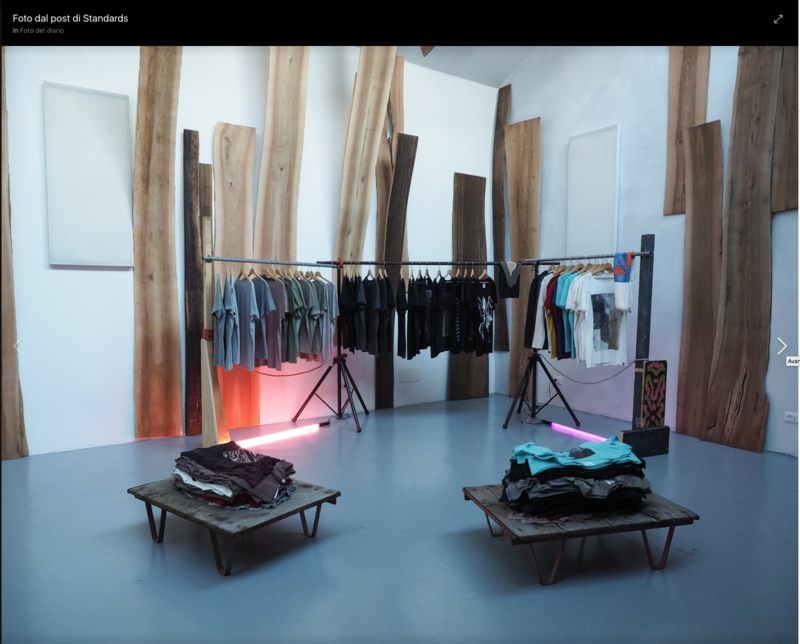 i’m alive – taking care a bit less of this online second life – so im not updating so much the news pages.. runnig as usual – in this last period i’m doing a lot fornitures – start back sewing during the end of the summer. Ah – with Nero / Bonotto / Marsèll / Xing / Far we are finally printing the Adagio con buccia book! a week ago @ Standards with some tshirts of mine. With Bellagio Bellagio, Meuko Meuko and Niccolò Tramontana. well, a lot without updating the news. 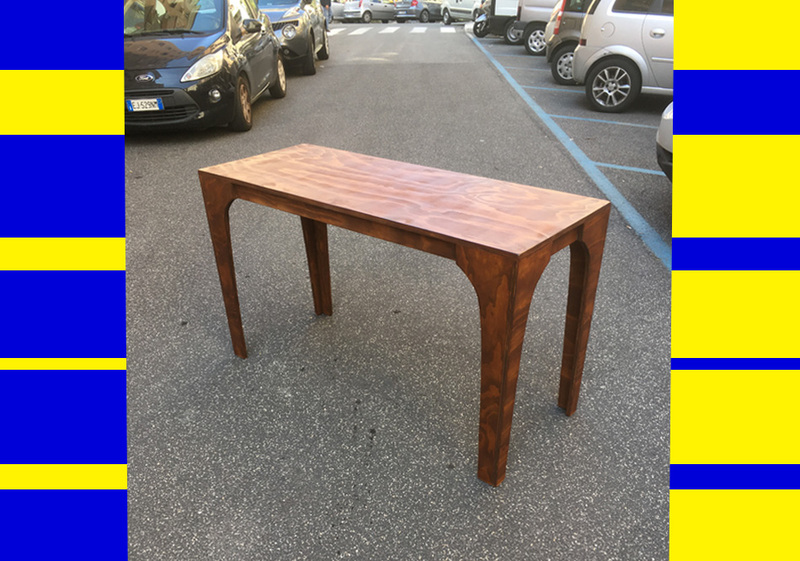 a piece i did for Roberta Mosca – a show in Livorno – thanks to Xing – now working on a kitchen and forniture for a friend – just finished the 3rd year teaching hand-made accessories at Naba, and it was the last one – it was nice – now exams and something on for my future as teacher. i love it. always printing for Marsèll – i’ll start back doing clothes during the end of the summer – end of august i have an appointment in Faenza. I’ll perform for the 3rd year with Roberta Mosca Musica per un giorno during next july at Bolzano Danza / Museion. keep your intense relax on, ok? New items online: posters, tees and 4 huge collage blankets. Roberta Mosca and I will start again with the 2nd appointment of the Musica per un giorno project. 24 hours non stop of intimate sounds and movements. The whole process will be on for 24 years. We can perform Musica per un giorno just once per year. every year we’ll repress it in a small amount of copies adding new thoughts, contents and images. The zine will keep on developing, becoming stratified. This year the zine is in edition of 50 copies, 40 pages. Feel happy and free to pass there-by. Bring something to cover you, bring silence, maybe a book?, maybe a snack. Calm mood – it’s not a party – it’s about stretching ourself and the way we feel time.